My first week of Exchange! Last Christmas, I felt like never ever before in 19 years of my life. It was both jolly and sad. I remember my father standing right outside the airport giving me calls at every 15 minutes, asking me: “You still have time, come back if you can’t.” And my answer was “Just Go! I am not coming back until February.” Whereas, deep inside I wanted to run back to my dad and ask him to take flight along with me. I wanted to go but, going alone was something out of my comfort zone. Landing at Moscow was great, I now knew that I was in a foreign land, all alone and that fear, it vanished! I didn’t know that it has a comeback plan later until I took my second flight and landed at Antalya, Turkey. 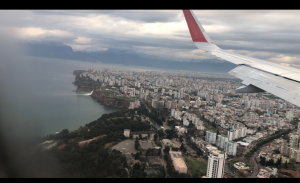 As soon as I landed at Antalya, I had a shock of a language barrier. I came to know that Turkey is not an English speaking country. How didn’t I? Because I did not attend my Outgoing Preparation Seminar which was done by my AIESEC local office in my city. I had to board a bus from Antalya to Denizli and I didn’t know what to tell people as no one understood my language. I didn’t have an international sim to contact anyone in the country or outside the country. You’ll ask what about the airport wifi? The assessment page was in the Turkish Language too. Fortunately, there are people in international airports to help. They told me about the sim card shop right outside the airport and where the Bus Stand is. I bought a sim, exchanged my currency with the shopkeeper itself and took the bus to Denizli. Bad thing again? My bus driver didn’t know English and where did I want to go. Even I couldn’t figure out if that bus was a local bus or bus to Denizli. I calculated it out anyway after a lot of stress. 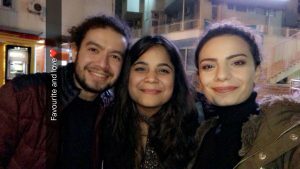 I reached Denizli Bus station, I was so thankful to the 3 AIESECers Gokche, Fazil and Sehrat who came to pick me up 🙂 Trust me, they were very welcoming. They took me to their house and they were all so loving and caring. I remember how they asked me “Anisha, don’t you talk much?” I’m sure my friends would have gone on an utter shock knowing that because I speak a lot. Yess! This was the day I had been waiting for, WORK DAY! Sehrat took me to the school. I had no idea about the reactions of kids when they see me. But, to me delightfulness, they all greeted me. That’s when I learned that if you greet a person with a smile, no matter how sad or stressed or panicked they are, you are contributing to store positivity in them. My job role was to teach the kids about my culture apart from a contribution towards SUSTAINABLE DEVELOPMENT GOAL-4 which is Quality Education, and I was delighted to see my students so welcoming and jolly. These kids came to me themselves and asked me if I would wanna join them to play? If I can teach them certain things they don’t understand. 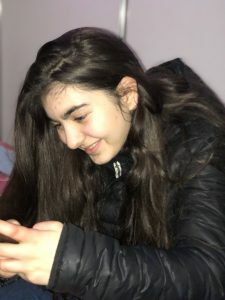 This very special day, after my school, a beautiful lovely 9th standard girl Neslihan took me to her house, my Host Family. 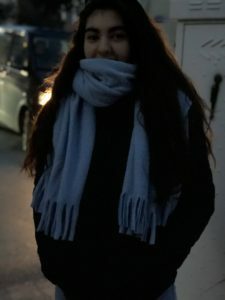 “Never have I ever woke up at Morning 6 a.m. to go to school”, before my exchange. Morning 6 a.m. when my host was holding a google translate webpage saying “Anisha, wake up we have to reach the bus stop at 6:30” Alas! Spoilt kid (me) learning discipline from the first day with the new family. Now, I understand that how AIESEC journeys are known for good transformations. We reached school, where everyone hugged me. The best part of this day was the arrival of my friends from different corners of the world. Finally, some people whom I could communicate at this early stage without a google translate. The school started allotting us our respective classes to teach English. To my greatness, because I have an interest in Psychology as well (it’s not even my background) the Principal agreed in letting me teach Psychology as well. The students couldn’t understand me and vice versa. I had to use google translate for everything except for Alphabets. I almost gave up. I thought I can’t do this. My internship will fail. I’ll fail. I wasn’t able to explain them things without google translations which is not even 100% accurate. I felt a need to remove the language barriers, either by learning Turkish myself or teaching them English in 6 weeks. But, the problem was if I’ll teach them English in 6 weeks, what about the other subject? And how would I learn Turkish in a week or day? A new day, I almost had plans to go back to India, when things stopped me. Who? My fellow AIESECers, my friends and my students! My students memorized everything that I tried to teach them the last day. They greeted me with good morning instead of ‘Merhaba’. They started giving their best to converse with me in English. I had a voice inside me I CAN DO IT! 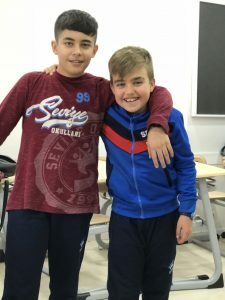 I can overcome these cross-cultural barriers and so can my students, well they already started! I can volunteer to help children in learning. 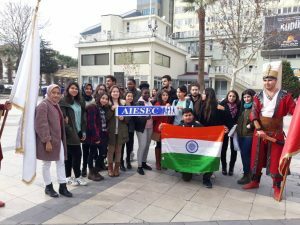 Since it was 31st December, the AIESECers threw a New Year party, where we all enjoyed a lot. We danced, we sang and we played games. I remember I used to ask my mom how could a person cry when they are happy, my mom just smiled as an answer. Writing about this first week and thinking about the last week, made me feel it. 20 years old, Marketing & Finance Graduate, Painter, Writer, and a Potterhead.